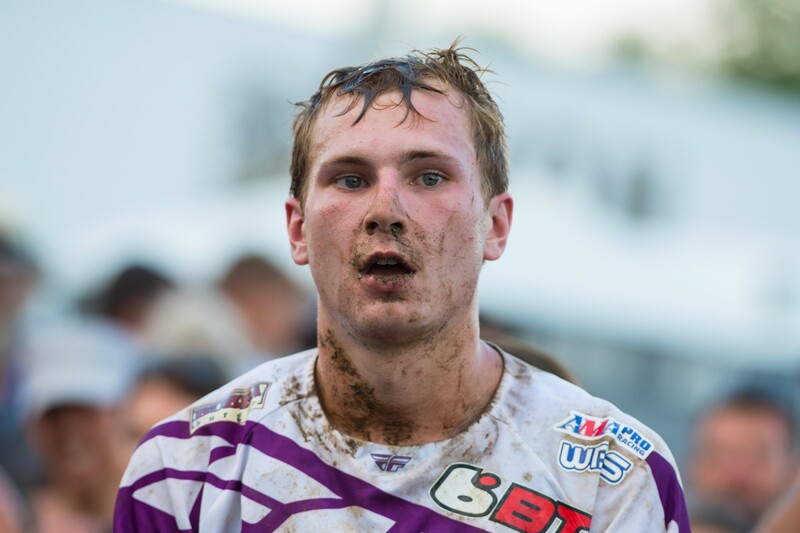 People came into the weekend worried about a mudder at Unadilla, but the weather ended up striking in a different way—it was sunny, hot and humid, and when combined with the demanding Unadilla track, riders were really fatigued by the end of the day. But the same two riders who have been rolling all year seemed to have zero issues with anything—they were strong right to the end! In the 450s, Ken Roczen seems to has an every-other-weekend thing going right now, where Eli Tomac challenges him once, and then Kenny rebounds with a dominant performance in the next race. Tomac won the previous round at Washougal, so Roczen bounced back to absolutely dominate Unadilla. He was the fastest qualifier by nearly two seconds, which was a scary thought because he did the same thing in qualifying at Millville and crushed the motos there. 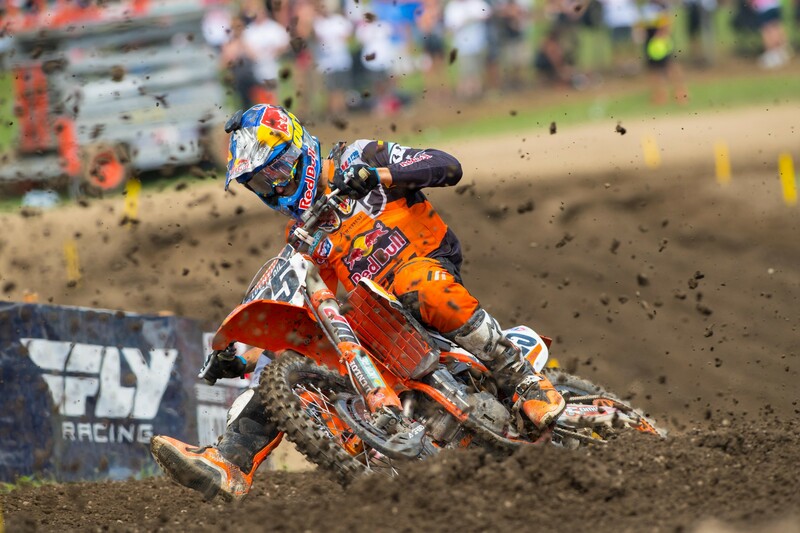 Roczen did the same at Unadilla, passing Tomac, Marvin Musquin and Justin Barcia on the first lap (!) of moto one and checking out. In moto two he holeshot, which made the finish a foregone conclusion. He made the demanding, rutted, rough track look almost easy, and on days like this, there seems to be no stopping him. But maybe this means Tomac will be back to challenge him next weekend at Budds Creek! So Roczen was not human at Unadilla. The battle of the mere mortals (second on this day) came down to Marvin Musquin and Tomac. Tomac bested Marvin him for second in moto one, but Marvin rode hard in moto two, running second early, bobbling on the Screw-U uphill, then getting back on just in front of Tomac. They chased each other through traffic until they were into second and third, and Tomac showed Marvin a wheel. But Marvin responded! He turned up the pace then nearly crashed again as he almost went over the bars on a jump. But he responded to that, too! Marvin moved away from Tomac over the final ten minutes of the moto two secure second, and win the 3-2 versus 2-3 moto score tie. After Washougal, Marvin said his goal was to get in there and battle with Roczen and Tomac. He was able to do it against Tomac on this day. As for Tomac, he rode well, but more in the manner he did at, say RedBud or Millville, instead of Southwick or Washougal. 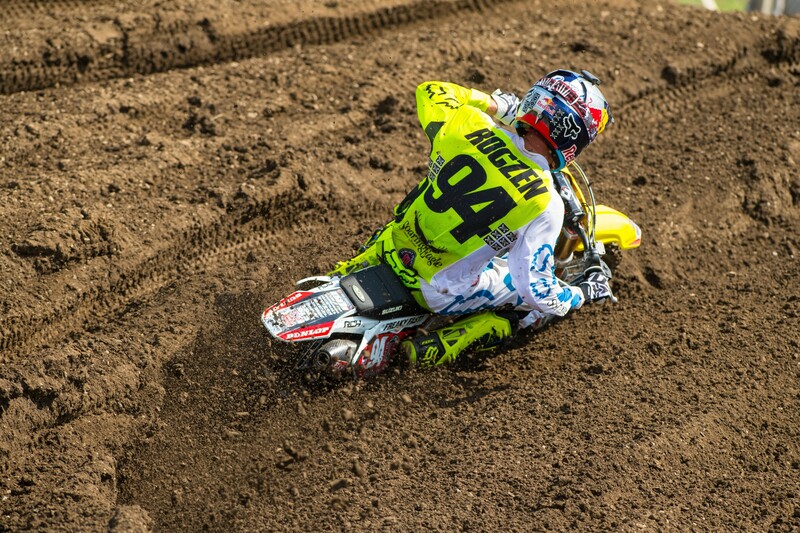 Again, this might point to a duel with Roczen next weekend if this pattern continues! Benny Bloss didn’t win the 450 class but he had the most inspiring ride of the day, taking a career-best fourth overall. First, his BTOSports.com KTM team’s trailer caught on fire on Friday night, and for a moment it appeared he wouldn’t even be able to race. But the KTM-affiliated teams—BTOSports, Red Bull KTM, Troy Lee Designs KTM and Rockstar Energy Husqvarna—worked through the night to rebuild the bikes. Then Bloss rode the race of his life. He went out with a solid seventh in moto one. In moto two, he ran third early, then passed a downed Musquin to take over second, and then held steady there until the halfway point. At one point, Musquin and Tomac weren’t even making up a ton of ground on him. It was impressive! When Musquin and Tomac caught him, it was clear Bloss had run out of energy running that torrid pace, but he hung on for fourth in the moto and fourth overall with the 7-4. Bloss has also moved into sixth in points, 34 behind the idle Christophe Pourcel. He’s got a legit shot at fifth by the end of the season. You can’t get Bloss’ teammate Andrew Short down. Shorty has just two races to go in his pro career and is enjoying pressure-free racing while soaking up the memories. When we saw Short on Friday night when he heard his bike had burnt in the BTOSports.com KTM fire, he was still somehow smiling! When we saw him Saturday morning, finding out his bike was ready and he was racing, he was smiling! At the end of the day, despite a clutch malfunction in moto one and 38-13 moto scores for sixteenth overall, he was still smiling! Then we saw Shorty talking to some random fans and giving them tips on how to mount mousse tubes. The guy is just pumped on everything right now! Roczen was matched stride-for-stride in the results column by 250 winner Webb, who wasn’t as dominant, but certainly effective, taking 1-1 scores to his fourth overall win of the year. While Roczen’s wins this year have come through mind-blowing rides—often passing packs of riders on the first lap, Webb’s are more methodical, usually stalking the lead pack until the second half of the race. On a day where the track and weather sapped many riders, Cooper just waited for his chance and let the race come to him. Is it too early to start wondering what will happen in a Roczen versus Webb face off in 2017? Meanwhile things keep coming unraveled for Webb’s championship rivals. Jeremy Martin is now out with injury, and the tough track and weather conditions sapped the energy of nearly everyone else, including Joey Savatgy, who didn’t finish the second moto. Alex Martin showed speed with the fastest qualifying award but then had crashes and problems, all leading to a massive 81-point lead for Webb. Next week at Budds Creek, there’s little doubt that he will clinch his first 250MX title. The 250 race was a bit of a strange one with not one but both motos red flagged due to rider injury. 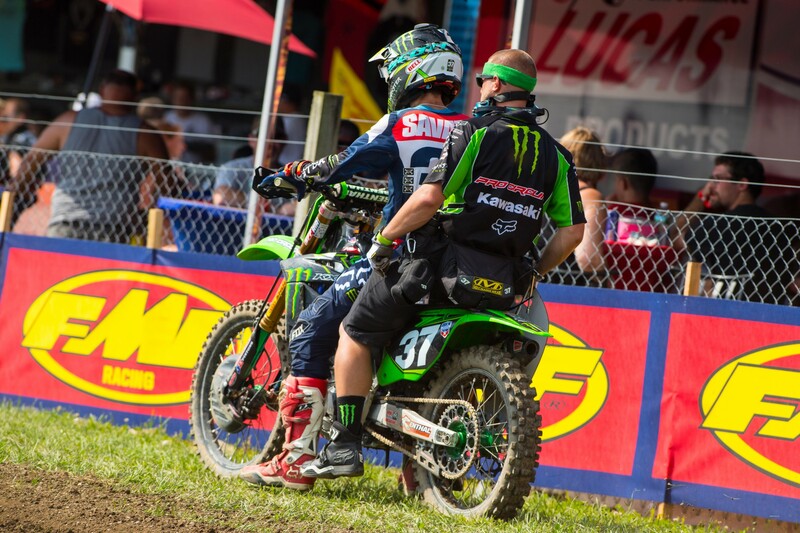 The first moto was re-started (Austin Forkner was in the lead) when Coty Schock crashed, and the race was restarted. The second moto was red flagged when TLD KTM’s Jessy Nelson crashed hard. Nelson’s crash seems to be serious and we’ll let you know as we know more—for now we are simply wishing the best for Jessy. The first moto got the restart, but the rulebook says red flags after the twenty-minute mark are called final—and the red flag in in moto two came 24-minutes in, so that ended it early. Webb had just passed Monster Pro Circuit Kawasaki’s Austin Forkner the lap before to secure the lead, which became the moto win. In moto two, Webb didn’t need Forkner for the overall but he admitted afterwards that the rookie’s speed had impressed him. He said that he was just getting ready to lay down some heavy laps before the red flag came out. Forkner, meanwhile, said he was starting to get tired and couldn’t hold Webb off any longer. He was happy to salvage a podium, though. Forkner could have an ever better day. He had couple seconds on Webb when the red flag flew in the first moto, but on the restart he said his holeshot device popped up early and he was buried off the start, then he got stuck behind Mitchell Harrison and Alex Martin, who were part of a big tangle up. So Forkner went from first before the restart to thirty-ninth after it. Forkner put on a nice charge and made it all the way up to seventh by the end. Combined with second in moto two, it was enough for third overall. 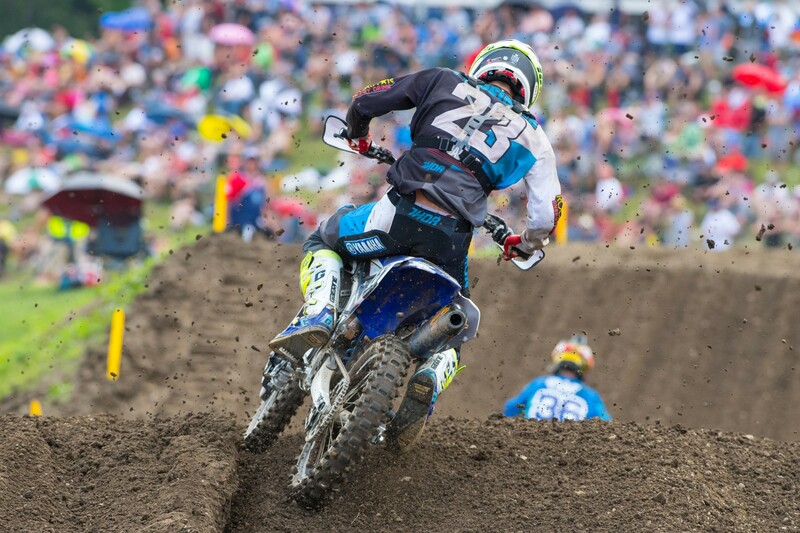 Boy, did Aaron Plessinger show speed at Unadilla. He blitzed to the front around halfway through the first moto with some incredible lap times—Plessinger has been able to catch fire for ten minutes at a time here and there and this was one of those times. At one point in moto one, he was going five seconds faster than anyone else, and he actually passed Savatgy for second until a lapper slowed him and Joey got him back. Plessinger got a much better start in moto two, and while he couldn’t quite get into the Forkner/Webb battle, he finished third to take second overall. He was ecstatic because he didn’t get arm pump in the moto. 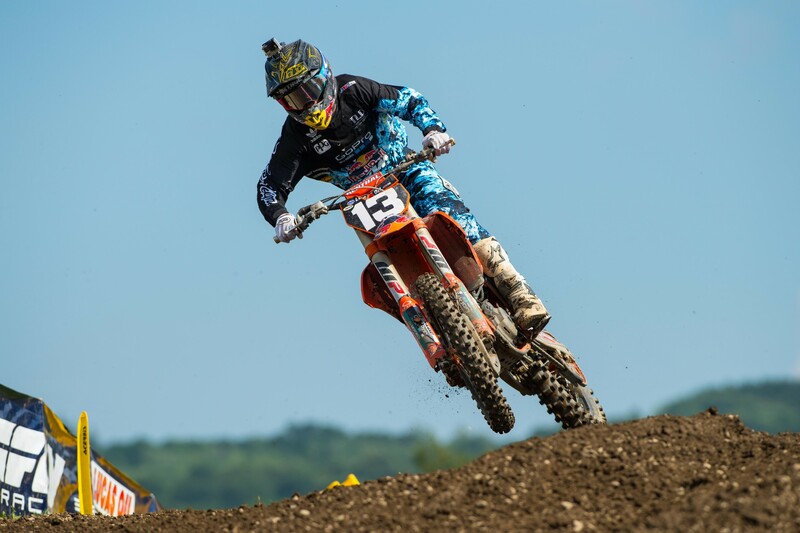 APless admitted to us that arm pump has been a problem in most of the motos this year. As for Savatgy his faint title hopes were dashed when he pulled out of the second moto, with a report that he had gotten sick in the hot and humid conditions. Savatgy had said after the first moto that the fight to get second had taken a lot out of him. Savatgy’s teammate Adam Cianciarulo led some laps in the first moto and eventually finished just off the podium for fourth, his best moto of the year. In the second moto AC dropped back some spots then fell and called it a day. Arnaud Tonus was up front early in moto one before dropping back out of the top ten late, and then he did not line up for moto two. The track took a lot out of everyone! GEICO’s RJ Hampshire hasn’t had the best season to date but Unadilla was his best national of the year with steady rides that even included a crash in the first moto. Hampshire still went 9-6 for fifth overall on the day. 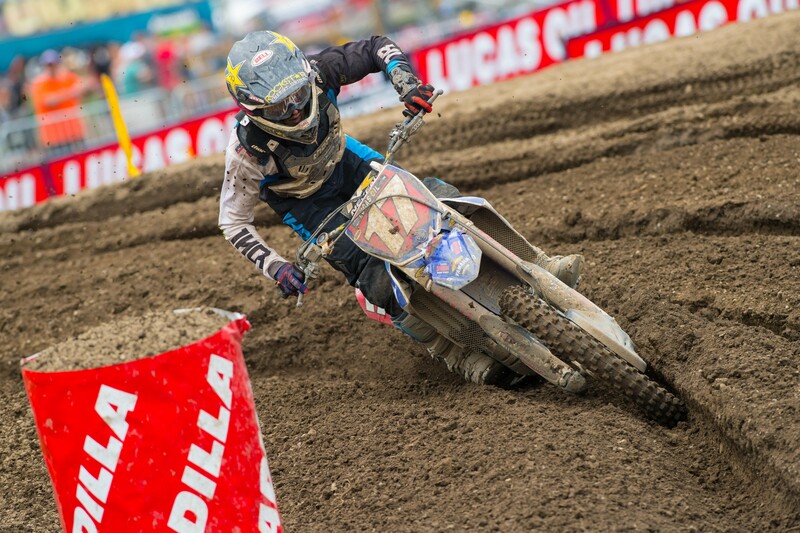 Justin Hill made his return at Washougal and rode well at his home track. In New York he backed that up, riding strong in both motos coming up from the back to go 5-4 for fourth overall. Rockstar Husky’s Zach Osborne had a day he’d like to forget. In the first moto he was sixth until halfway when he crashed. Second moto Osborne rode right back to the mechanic’s area after the third turn and pulled out of the race with a reported electrical problem. Fresh out of Loretta Lynn’s, Cycle Trader Yamaha’s Brad Taft crashed early and often in his first pro moto and wasn’t able to score points. The second moto he got a great start, ran up near the top five for a few laps and then tipped over once or twice more. In the end, Taft’s second moto 12th was respectable for his first race. Savatgy's title hopes pretty much ended when he pulled off in the second moto. The 250 pack got quite a workout in moto one, as the race was restarted after seven minutes, making it essentially a 37-minute plus to lap moto. Combine that with humidty and a rough race track, and several riders were feeling it in moto two.